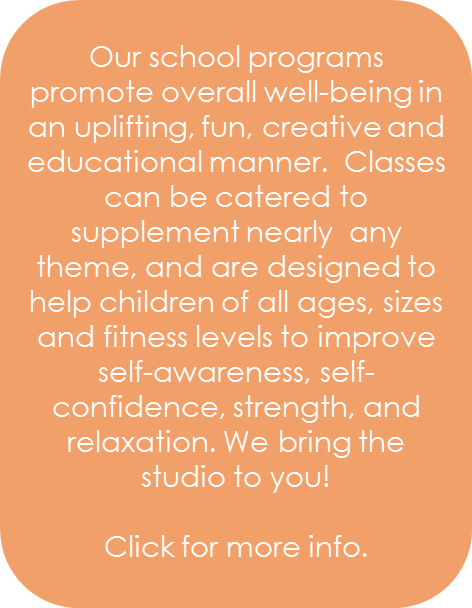 Welcome to Glow Yoga Kids Edmonton! We are a yoga and creative movement company for the young at heart! Our main belief is that each and every child has within them a beautifully distinctive inner light, and through our unique Rainbow style yoga classes and programs we encourage our students to let their light shine. 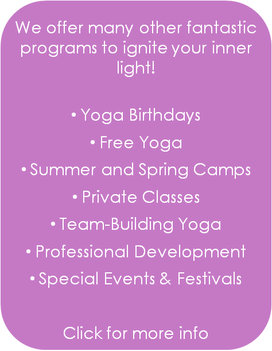 We offer weekly classes, school programs, yoga birthday parties, team building yoga, professional development, and yoga for festivals and special events. Our classes are dynamic, fun, engaging explorations of yoga in which students are given the opportunity to imagine and experiment.